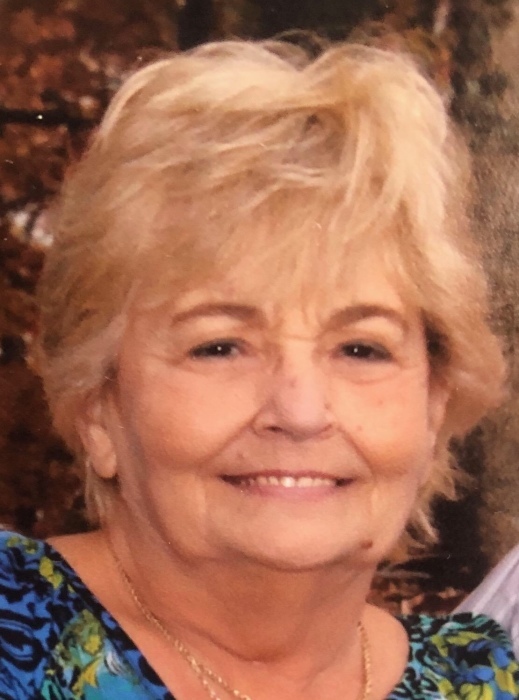 Nancy Chmiola, 75, of Mountain Top, died Sunday, December 2, 2018, at home, with family by her side. Born in Wilkes-Barre, she was the daughter of the late Thomas and Margery Gabel Beline and was a graduate of GAR High School, Class of 1961. In addition to her parents, Nancy was preceded by her loving husband, John E. Chmiola, Sr on Tuesday, April 10, 2018; siblings, Thomas Beline, Robert Beline, Patricia Kompinski and Barbara Austin. She is survived by her children, John E. Chmiola, Jr (Lisa) Swoyersville; Diane Chmiola (Jerry), Edwardsville; James Chmiola (Beth), Plains; Joanne Chmiola, Plains; Sandra Troyan (Al), Wilkes-Barre; Karen Chmiola, Plains; David Chmiola, Plains; Daniel Chmiola, Mountain Top; Jacklyn Chmiola, Mountain Top; 19 grandchildren, John, Ryan, Jennifer, Jerry, Jimmy, Erin, Crystal, Suzanne, John, Trey, Mitch, Gary, Samantha, Josh, Rebecca, Christopher, Nicholas, Gabe, Ben; 12 great grandchildren, Jason, Jakob, Jason, Reagan, Jordan, Joey, Sawyer, James, Emma, Carter, Jace, Aubriella; sister, Susan Stecker, Drums; nieces and nephews. Memorial Mass will be celebrated at 10:00 am on Friday, December 7, 2018, in St. Nicholas Church, 226 South Washington St., Wilkes-Barre. Visitation will be from 9:30 am until time of service.